Natural disasters can strike quite unexpectedly, even in places as peaceful and affluent as Menlo Park, California. When a storm, earthquake or tornado arrives, people who wholly rely on the stability of the structures they are staying in to avoid getting injured or worse. The technology to accurately predict certain calamities is yet to exist, so it falls on the hands of residents and building owners to remain constantly vigilant in their quest to ensure that the structural integrity of their property will hold in case of disasters. To say that the roof is one of the most important parts of a building may seem like a huge understatement. It protects people from rain, snow, extreme heat and other life-threatening weather changes or external forces. The International Building Code (IBC) recognizes the importance of the roof for a home or a building, and has set several safety standards that all home and building owners must adhere to. According to the IBC, the design, the materials used, and the construction of the roof itself all play a part in ensuring that the structure is up to code and is strong enough to sustain weather damage. The owner’s responsibility does not simply stop after the installation though, wherein the inspection, maintenance and repair of the roofing system should be overseen by the owner himself as he works with a reliable Menlo Park, CA residential roofing contractor. Since the roof is exposed to external elements on a day-to-day basis, it’s completely natural for it to experience wear and tear. To ensure that the roof is in tip-top shape, it’s imperative to check signs of deterioration and disrepair during regular inspection. 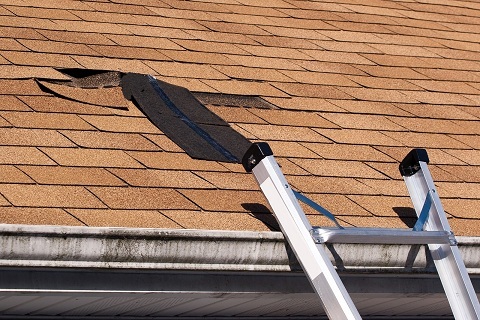 Loose and broken tabs or cracked, curling shingles are all telltale signs that it might be time to have your roof repaired or replaced. Water stains on the deck, chimney and the vents may also be signs of imminent or existing water leakage. In moments of natural disasters, an individual’s first instinct is to seek shelter and claim sanctuary indoors. Hiring a trusted roofing contractor in Menlo Park will assure you of the refuge you so desperately crave for during the times when you need it the most.